These are some small chain of islands very close to Semporna. In fact it is just 15 minutes boat ride from the Semporna town jetty. There are homestays resorts build on top of the sea near these islands. 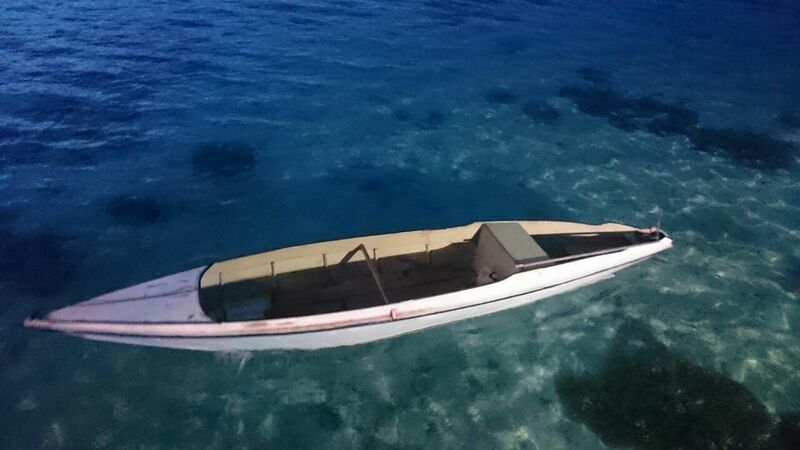 The sea is crystal clear and it is a diving and snorkeling paradise. 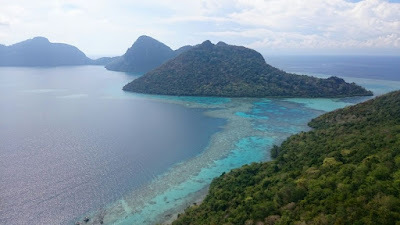 Contrary to what people think, these islands are very safe because of the constant patrol by the Malaysian coast guard, marine police and navy. 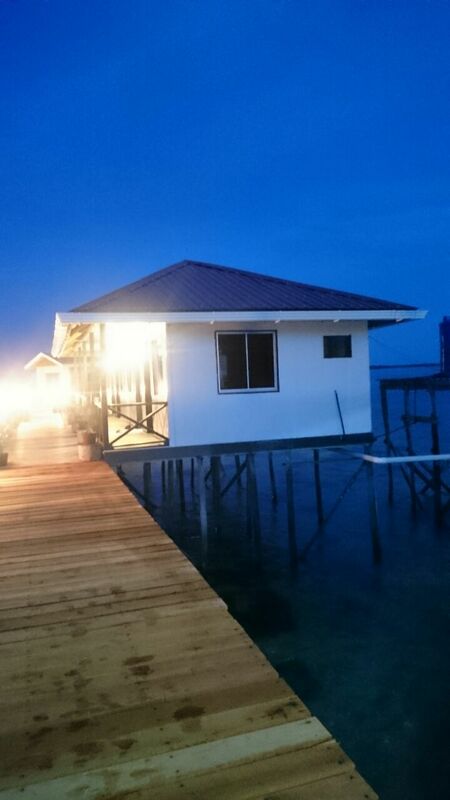 Semporna is located in the east coast of North Borneo (Sabah). 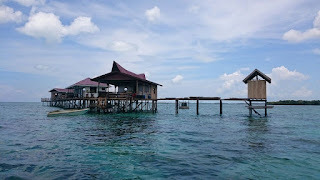 The town was established by the British North Borneo Charted Company in the early 1800's and the majority of the people are Bajau. Semporna is famous for its tourism site and also marine products. 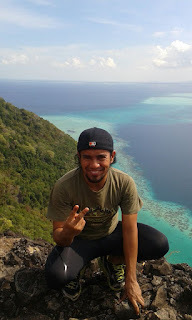 Semporna is also close to the Sipadan, an oceanic island rising 600 meter from the seabed. 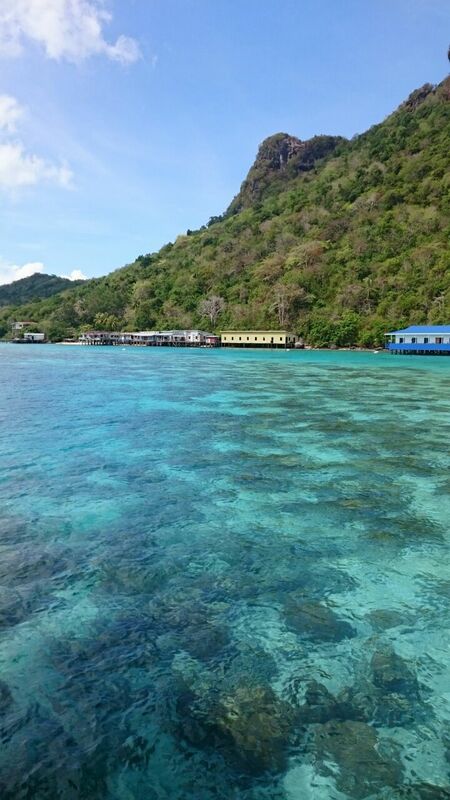 Sipadan itself was formed by living corals which took thousand of years to develop. 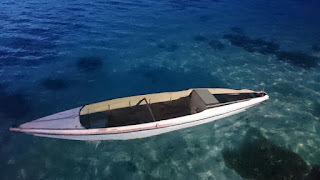 There are about 3000 fish species in Sipadan. It is one of the world top diving destination. 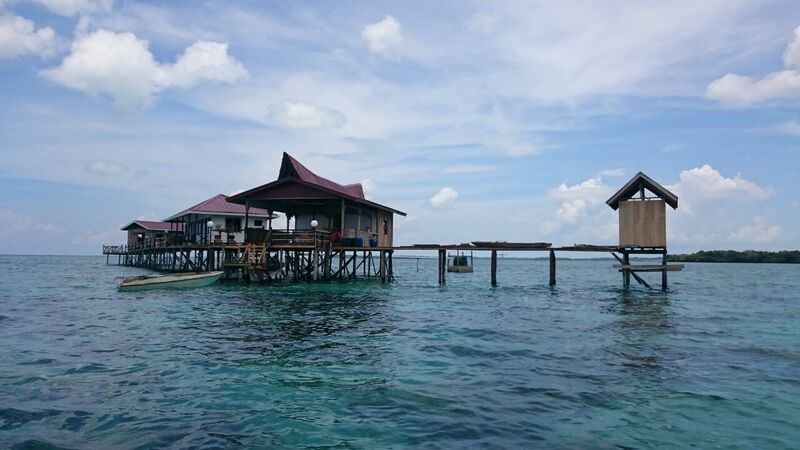 PLEASE CLICK TUN SAKARAN MARINE PARK and SIPADAN ISLAND to know more about Semporna and its surrounding. The picture on the left is Awang Suzaini Bongsu. He works for a construction firm and he loves hiking and traveling. He said he is on top of Bohey Dulang highest peak, which is about 600 meter high. He said the resort here are relatively affordable and he wish to assure the readers that the place is safe. Once again, I wish to say thank him for his contribution to this article.